The Cruzer features lightweight and durability with aluminum frame construction. It includes 2 oversized, single padded seats to fit two anglers comfortably. It can also be set in up-right position when being used in less windy conditions. In wind, you can pull the top down and enter shelter mode. Easy one man set-up, ready to fish in 60 seconds. Available in the new exclusive Digi-Camo pattern, this shelter is a major aspect to a time efficient, comfortable and fun day on the water. The Cruzer® features lightweight and durability with aluminum frame construction. It includes 2 oversized, single padded seats to fit two anglers comfortably. It can also be set in up-right position when being used in less windy conditions. In wind, you can pull the top down and enter shelter mode. Easy one man set-up, ready to fish in 60 seconds. 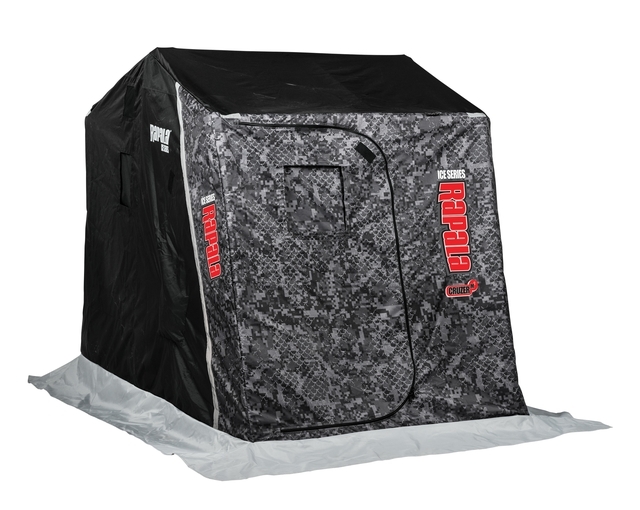 Available in the new exclusive Digi-Camo pattern, this shelter is a major aspect to a time efficient, comfortable and fun day on the water.